Large installer quotes are $0.33/W (about 10%) higher, on average, than non-large installer quotes offered to the same customer (Figure ES-1). The difference falls to $0.21/W after controlling for systematic differences between large and nonlarge installer quotes. $0.21/W for install price for installs that cost between $2.75-4.50 is a 4-7% difference in pricing. The report suggests that some people simply want to buy from larger, more well known name brands – and that they will simply pay more. Other within the research group would ave benefited from connecting with local installers. Using tools like EnergySage was shown to lower costs $.30/W – for an average system that’s $2k that could be put toward a battery system. – Apparently, that’s the nickname of Gary Cohn, former Goldman Sachs Exec and now head of National Economic Council. This nickname exists because Cohn is pushing a carbon tax as a political reality, versus the ideological positions of the hardliners in Trump’s cabinet. Thank you Cohn. Electric Grid Study Ordered by U.S. Energy Chief to Boost Coal – Rick Perry is ordering a study of the U.S. electric grid, with an eye to examining whether policies that favor wind and solar energy are accelerating the retirement of coal and nuclear plants critical to ensuring steady, reliable power supplies – “even when the sun isn’t shining and the winds aren’t blowing” – Its quite sad to hear the Department of Energy use such simplistic wording to describe our electric grid, however, we know the times we are in. One outcome of these reviews, based on the very limited number of words I’ve seen, could be that backup requirements are put in place (onsite storage). Obviously – there is no storage for wind and solar. “The sentiment on the sector is terrible” – Negative sentiment has produced valuations “as low as we’ve seen” by measures like price to book, Mr. Guinness said. The Guggenheim Global Solar ETF has lost over 24 percent a year over the last three years, according to Morningstar. I want to invest in solar power companies because one thing I’ve been taught is to invest in what you know – and I follow a few layers deep into the industry. However, the downward price pressure on manufacturers profits push me away from those stocks – and I tend to recommend people buy projects. 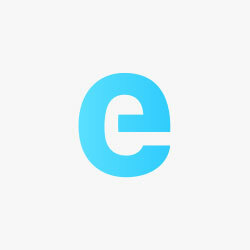 Jigar Shah – talking on this very article – has seen project developers do very well. 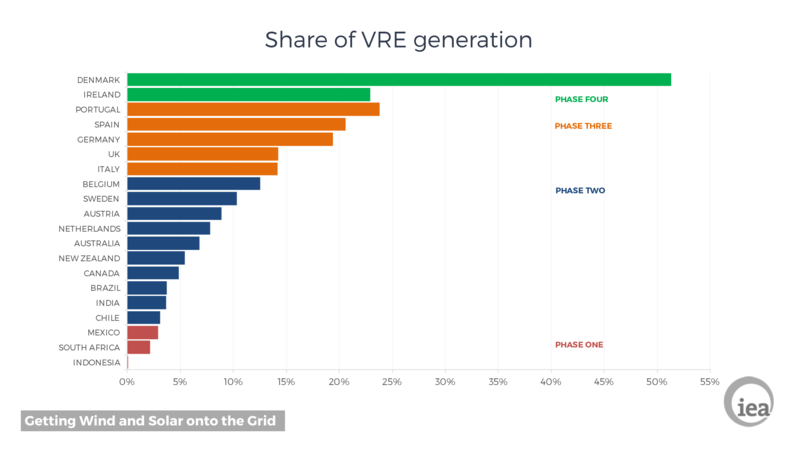 “Getting Wind and Sun onto the Grid” – A new report from IEA explains when certain challenges related to VRE integration are likely to emerge, and how to solve them. This chart parallels development patterns we see across the world – renewables are built, prices begin to fall as locals gain skills, incentives are pumped, over building might occur as the grid cannot handle it all, upgrades made, etc etc. We might see a resurgence in Germany in solar as energy storage and grid upgrades are happening. We’re seeing curtailment in China and California for wind and solar as they’re a bit ahead of energy storage and transmission upgrades. Patterns of growth. See below chart for various phases that different countries are in. There are a lot of experiments in the world in how to deal with excess solar power. California is only the latest place to have to figure it out. Some of those experiments are creating hydrogen from the solar power. That hydrogen is going to have to be burnt somewhere. Header image – As of February 2017, Longyangxia Dam Solar Park in China was the new leader, with 850 MW of capacity. These images, both of which were acquired by the Operational Land Imager (OLI) on Landsat 8, show how the solar park grew over a four-year period.